There's a lot we know -- and don't know -- about inflammation, the body's unpleasant way of addressing injury and illness by puffing up. Eating too much sugar, saturated fat, alcohol, and processed meat can all cause chronic inflammation, which is a huge bummer, but that's the price of going out and enjoying life, right?! Just know that chronic inflammation increases the risk of type II diabetes, cancer, Alzheimer’s disease, and Parkinson's disease. Yikes. What medical professionals haven't quite figured out is the role food plays in the battle against inflammation -- but a group of super-smart scientists from the UK has made a serious breakthrough on this issue. They investigated 31 polyphenols (micronutrients from plants) to see whether or not they had the ability to slow inflammation. Through some serious testing, the researchers narrowed down five particular foods that aren't just tasty and generally nutritious, they also boast inflammation-inhibiting superpowers. The good news: you're probably already eating some of them. Cubicle-bound co-workers have been asking delis to hold the onions on their lunch sandwiches since before open-plan workspaces became the norm, but the vegetable's anti-inflammatory properties might make it worth asking for an extra helping. Onions contain one of the most potent anti-inflammatory compounds: isorhamnetin. Still worried about onion breath? Nosh on almonds or fennel leaves instead, since they're both rich in the flavonoid. It wards off cancer. It stops food from spoiling. It stains your fingers for days. And it tastes good. Turmeric might just be nature's miracle cure-all, adding anti-inflammatory properties to its increasingly lengthy list of health benefits. The Indian spice's power source is the same thing that gives it its distinctive golden hue: curcumin. If you've ever touched the yellow stuff, you can probably attest to its persistence, so put that power to work fighting inflammation. The study also calls attention to resveratrol -- found in red, purple, and black grapes -- for its ability to inhibit the release of cytokine. 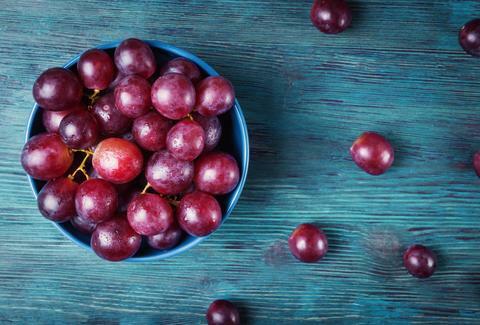 Sadly, the researchers don't advise taking down as much red wine as you want in order to live forever, but you can't go wrong snacking on these fruits throughout the day. Scientists add that itadori tea (aka Japanese knotweed) also contains a high concentration of resveratrol. 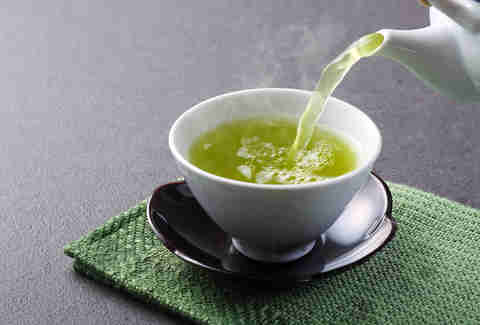 Green tea gives diseases the one-two punch. Just like onions, it's rich in inflammation-fighting isorhamnetin. The beverage also fights cancer and heart disease with a concoction of antioxidants, improves physical endurance, and is inversely associated with obesity. Can't fathom the idea of a hot cup of tea in scorching summer weather? Go for green tea ice cream. You're welcome. The new study invites you to indulge in these pricey Brazilian berries sans guilt, knowing their high concentration of vanillic acid is reducing cytokine release. While the superfood may not deliver on other health claims (the Federal Trade Commission has been cracking down on falsely advertising açaí berries as a weight-loss solution in recent years, so don't click on those pop-up ads! ), the UK scientists believe they still have merit as an inflammation inhibitor. Joni Sweet is a freelance writer who never asks them to hold the onions. Follow her on Twitter and Instagram: @JoniSweet.